I'm sharing the above photo of my daughter, eating cake at her 1st birthday party. Her bright, wonder-filled eyes capture the joy and innocence of childhood. Those eyes that love us unconditionally. And we moms have the awesome responsibility to love, nurture, protect and guide these fragile little ones. 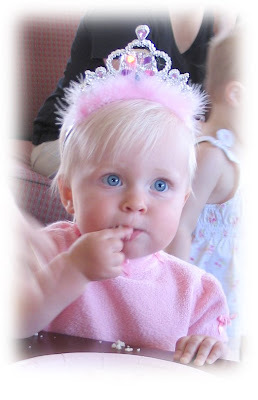 Her tiara reflects how we moms always picture our "babies" in our hearts - as our little princes and princesses. She just turned 3 this month and now has a younger brother following in her footsteps. So, I just have to share another picture that includes them both! 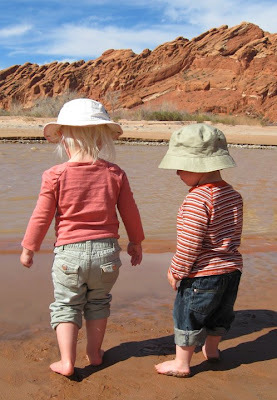 The sweet delights of exploring their world - discovering everything for the first time. So fun!! Beautiful photos! You certainly captured the essence of those moments. You already have my vote!